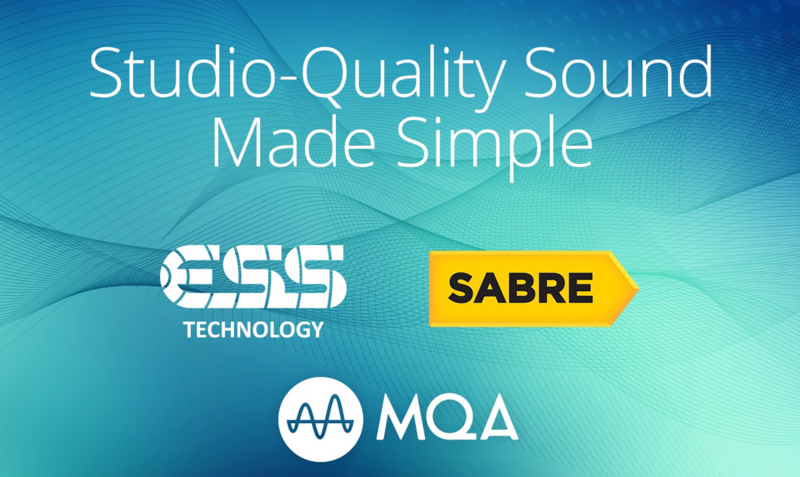 ESS Technology announced that they will introduce versions of their SABRE® audio DACs that feature integrated MQA (Master Quality Authenticated) rendering, making it easier for audio hardware manufacturers looking to incorporate MQA into their designs. Combining the MQA rendering with the DAC will eliminate all the manual tuning and software integration that is required when using a separate DSP and stand-alone DACs. The system designer will not need to worry about the implementation at all. Automatic rendering will allow the system to instantly detect a Core MQA stream and configure the custom filter settings to give the optimal-quality output. The combined hardware blocks allow for the solution to be implemented without a DSP, saving power as well as size and cost.